Honestly looks pretty cool man, I like it. Cut right to the fun stuff. @oxrock Thanks! It's a challenge to balance interesting, high challenge parts like the bosses with low-mid level moments so the game produces a good state of flow for the player, but I still think players can do without a level grind of some sort. It's waaaaaay late, but NEO Impossible Bosses has been greenlit along with the pre-SteamDirect greenlight wave about a couple of months ago! Now that Steam has given me access to an Appid to work with, I've been working on integrating the many modules that steamworks(the library that lets you work with Steam) provides. First up, I have to convert a lot of my old network api functions to Steam's variants. I could not get their GameServer samples working with my appid, so I had to use the Lobby variant as a means to connect players over the Internet. I suspect that I have to contact Valve to enable gameservers, but I'm content with this approach for now. So I'll have to let it pass. Other things to integrate are cloud saves, achievements and leaderboards. Cloud saves are easy enough to code since all I need is 2 simple functions saving/loading from the cloud at appropriate times. Achievements are also simple enough to code. Leaderboards are a little more annoying to code up due to the way they force users to implement their callbacks, which I'll explain later. Whilst implementing the Leaderboards, I had an idea. Why not integrate downloadable replays into the leaderboard? Shot of the leaderboard, complete with information on timings, party compositions, and a downloadable replay. I already had replays implemented earlier so I could deal with desyncs when I encountered them in multiplayer. Theoretically, it should help that players can download replays of successful attempts on bosses if they're stuck, so there's that sense of community help. I'm sure I'll be looking forward to seeing the Impossible difficulty leaderboards filled with many DEFEAT results. To sum up, there are about 2 different ways that steamworks does it's callback functions. 2) Have a "CCallResult<Classname, SteamObjectType> mSteamCallAchComplete;" object and pair it with a class function with parameters SteamObjectType and a boolean. Then set the callback when after you've checked the steamworks function is successful. To say the least, these are fairly cubersome techniques and c++ done wrong. I'm forced to make a class functions have another area of construction for technique 1), and set callbacks with 'this' pointers for 2). Then these techniques hide how the callback function's parameters and return value should look like. I'll leave this with a suggestion: why not use simple typedef for a c-style function pointer, which, in addition to whatever steam structures it needs, supply a simple void* for user data? Then set the callback with a simple SetOnAchCompleteCallback call with the userdata. It's many, many times simpler, the function parameters are explicitly defined, and there's no need to do that template type checking thing. Now this area has been hard to make. I've reverted to a environment art placement style similar to one of the other boss's arenas, which is to put some bigger props(white flowers) surrounded by many smaller props(white/red flowers). Then there's additional vfx to work on as well. I hope this update was sufficient to tide for the lack of updates. As NEO Impossible Bosses edges towards the proposed deadlines of early 2018, I hope to be able to cover more of what gameplay is within the game. Seeya around! Definitely something I would love to try. Nice idea! Hey dude I had no idea this existed until someone on the Impossible Bosses discord randomly posted it. You should talk about it there! Tweeter! I use it to TWEET!! Hey thanks! Will put my case there. Been meaning to put up a post on the forums for awhile now; havent had the time to do it. Steam store page is up! Wishlist it on Steam now! Here's a slight improvement to the land destruction debris of the Fujin's Destruction Palm ability. Before I reworked this ability, the One-Eyed Mage boss would just fire off fast moving projectiles to heroes in a straight line. In this encounter, players have to keep track of a high number of things including enemy adds, circular areas, etc, hence why I decided that this ability had to be reworked to ease the amount of tracking. The projectile pathing pattern is made using a mathematical formula called a Rhodonea curve, with random speeds. I'm still not totally satisfied with this, it still looks messy due to the random speeds. Maybe I'll remove the random speed and tweak it such that it has a dodgable aspect to it. I'm very, very close to a demo build release on itch.io/steam. After that I'll be putting up a closed beta. See you around! First of all an apology, I did mention of a demo on itch.io/steam, but I decided against having a demo at this stage after doing the research. Out of ethical commitments though, I will put it out closer to release. In other news, I exhibited at Gamestart 2017! It was fruitful, and attendance turned out better than my previous exhibition, the numbers reached to about 180+, compared to 130 last time. I got some press coverage in as well! - No longer updating scores for the initial tutorial boss encounter. - Ranger: Item "Glowing Rose" ability upgrade switched to Venom Shot from Rune of Winds. Venom Shot now leaves behind AOE venom clouds with the upgrade. - Tweaked mana costs of the abilities of many heroes. - A player could buy a bunch of high armor upgrades on a priest and essentially tank all the bosses. While amusing, it takes out much of the challenge of the game, hence the changes. - Reworks on the Necromancer/Demon bosses. Do note that with each new build, the leaderboards will be reset and you will be able to upload scores for the bosses again. Also, hard mode will not be accessible for the moment as it's too much to test. If you have a key, please give me some feedback; even your information on PC specs/performance will help me, and it's more likely you'll be able to keep your key past release. The ranger's Venom shot Ability is upgraded with Venom Clouds thanks to the item "Glowing Rose!" Thanks to Steam leaderboards and being able to attach replays to them, I was able to see just how some players were able to abuse the game systems. I had a player who stacked a bunch of high armor/mid damage items on his priestess, and when he took on the boss it couldn't deal damage fast enough to out-dps the priestess. After a bunch of testing, I decided on a class restriction for items. It's worth noting that World of Warcraft initially chose to limit healer classes on wearing plate mail armor for a reason, and that reason is just the problem I experienced. And lets finish with a preview of a few items! Credits to icon makers at the hiveworkshop. Venom Shot now leaves behind Venom Clouds, dealing poison damage and slowing enemies in it. The cast time of the Meteor ability is reduced by 1 second (down from 4 to 3 seconds). Been some time since I posted, but here's the changelog for NEO Impossible Bosses build 0.03 that I forgot to post. - Boss Hitpoint Balancing rework! Bosses now scale better based on party composition and items. Again, note that with each new build, the leaderboards will be reset and you will be able to upload scores for the bosses again. How do you do boss balancing in a game where you have a high number of variables? I came across this problem while working on my game NEO Impossible Bosses, an RTS-MOBA that pits a party of heroes controllable by player(s) against bosses in a boss rush. Each boss needs to feel like an MMO raid boss, which means large health pools and having players do enough damage. In making a game like that, there are many concerns in which we have to account for in our balancing act of making the bosses feel fair enough. 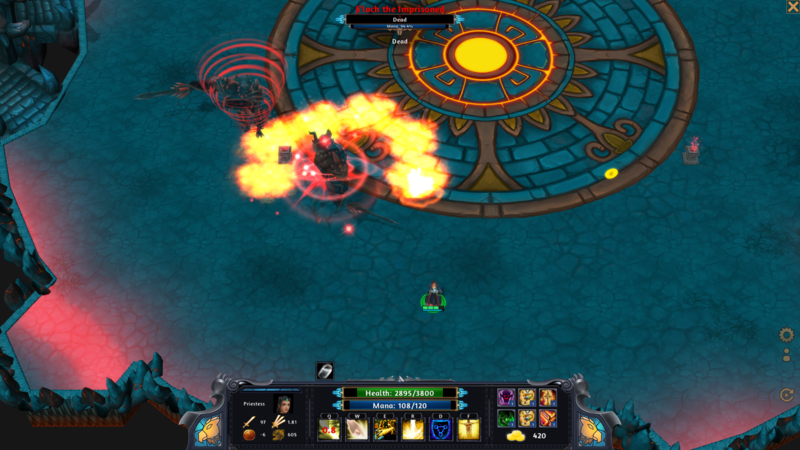 - Each hero class has up to 6 abilities that do damage. - Each hero can have up to 6 items. Some of the items contribute to the hero's damage output. - 3 difficulties for each boss. And for course, there are things that you want players to feel with regards to each boss. If the boss is meant to be a tank capable of taking tons of damage from the player, he needs a hit point increase. While it seems like there are countless concerns, I'm confident that we can boil it down to a few manageable variables. Here are my attempts at finding such a system. When I started, the way I balanced the boss's hitpoints was a straight linear hitpoint increase per party member based on hero class, and with a base amount of hitpoints. While this seemed initially okay, this method fizzled out when I had a player clear the bosses with a single priest with items..
- Find a base hit point amount for a boss that accounts for each party member dps, assuming that heroes have unlimited resources. Seems easy. For each specific hero, find a number for normal attack dps, and per-ability dps, and sum them up together! This formula assumes that all that damage is done within a second. However, some heroes like the Fire Mage have channeling times in which they do not attack at all while channeling their ability, therefore negating the amount of damage dealt. It seems impossible, wrong even, to determine the potential dps of a hero this way. So I had to go back to the drawing board. I looked at the hub area, and realized that I had a target dummy unit that was put in for testing reasons. Maybe I could use that! And there was also another thing I was able to draw from my experiences playing and researching on MMORPGs. A while back, a player by the name of Kripparian (that hearthstone superstar) posted videos on certain techniques that he uses to compare between abilities. He also has other videos detailing DPS rotations, a common concept in MMO raiding. What he did was to find the most optimal set of abilities that would get you the best Damage per Second(DPS) over a certain length of time, via video recording/comparisons. Using this concept, I now simply need to find an optimal rotation per length of time. This length of time is currently set to 15 seconds (which also happens to be the longest duration of hero self-buff abilities), and from this onwards I'll change it to Damage per 15 seconds(dp15s). Through this technique, I solve the problem of that huge mass of independent variables. Using the Guardian's Warrior Spirit ability as a visual guide, I try to find out how much damage I can do with my Firemage in that amount of time. Now that I have a solid dp15s number, I can adjust it accordingly to my needs. Of course, first of all I need to be able to adjust for the fact that in the heat of boss battles, there just isn't enough time and opportunity to execute that optimal dp15s cycle. So I'll need to multiply it by a value less than 1. We'll call this variable 'Suboptimal'. If I require the boss to feel 'tanky' and be able to take a ton of damage, I can introduce a DP15S_Cycles variable and multiply the above formula. I now need to account for the itemization bonuses and buffs. The current items can grant you a passive damage boost, an attack speed boost, and an ability damage boost. We'll need to apply a bit of mathematical rigor to get us an accurate gain of dp15s from these bonuses. We'll also need a sequence of ability usage and normal attacks during the 15 second window for our calculations so we can calculate the item bonuses correctly. Then we'll introduce a variable ItemDPSFactor. This sums up to 3 variables, Suboptimal, DP15S_Cycles and ItemDPSFactor that I can control to tweak the boss's hit points. For each difficulty, I can tweak these values differently – for example I can have the 'Suboptimal' values be lower for the easier difficulties to compensate for less player experience with his hero, since he/she hasn't figured out how to get good dps out of his hero. - Attack speed: There are suggestions that you can multiply the number of normal attacks by the percentage attack speed increase in the optimal dp15s sequence, but that is still likely to be inaccurate, due to the fact that normal attacks are done in between ability usage and in vastly different timing windows – I would have to enumerate all these timing windows and that's a ton of work. - Survivability attributes (eg. Healing, Damage reduction): These are variables that keep other heroes alive so that they are able to do more DP15s cycles. If I use a heal on an icemage, he can deal (for example) another DP15s cycle, If I use it on a tank, the entire party gets to live 1 more dp15s cycle due to taunting mechanics. Furthermore the boss's hitpoints are meant to be static throughout the encounter and most estimates would likely be inaccurate. If I account for this variable, I'll have to increase the DP15s cycle value whenever there's a healer hero. That being said, it's okay to have slight bits of inaccurancy if you know that it doesn't contribute too much. So that's all I have for this mathematically charged problem. It's intriguing to me that time has become the basis of the system that is able to boil down the high number of variables into only a few. I might have to increase the window of time from 15 seconds so I can get a more accurate gauge, but the same concepts still apply – I'm able to have a system that can account for difficulty, encounter length, party size and items. Update #16: Changelog 0.04 to 0.06, Normal mode is more or less done! Merry Christmas/Happy New Year! I've been busy pushing out things for release, haven't had time to write, so let's catch up on the things we've missed. - Reworked Balazar the Necromancer encounter, added 3 new abilities, Necrotic Mist, Summon Obelisk and Mist Shifting. - Reworked Ji'loch the Imprisoned encounter, added 2 new abilities, Summon Flame Pillar and Diabolic Sweep, and reworked how binding works. - Fixed replay desyncs and various bugs related to selecting units while the major selected unit dies. - Fixed replay desync issues. Thoughts: The ironman mode change is a no-brainer; I can't let people farm the same bosses continously for gear. I also tuned some of the encounters. In particular, Balazar's encounter now feels more dynamic when he disappears and reappears behind you. - Boss damage rework. Bosses now deal more damage overall. - Boss scripting sequences adjusted. - Armor to damage reduction tweaked. - Mana pools tweaked and increased for all heroes. Hallowed Heal now takes 2 seconds channeling time, with 1 second cooldown. Hallowed Heal now heals 1000 from 700. Healing Spirit now heals 750 from 500. Holy Nova now heals 800 from 600. - Demonic Eruption ability now reworked. - Fear Bomb ability now summons multiple fear bombs. - Blizzard now spawns 2 blizzards that move around the arena. - Paladin: Fixed Protection Link armor gain. - Fixed units being unable to follow commands after being stunned while casting an ability. - Grand Helm: Health changed to 200 from 400. - Holy Cross: Heal Bonus increased to 100 from 75. - Fairy Charm: Item bonus now reduces 1 second channel time from Hallowed Heal. Heal Bonus increased to 120 from 80. Item is now unique. - Totemic Mask: Health changed to 500 from 800. Armor decreased to 5 from 6. - Vindicator's Seal: Damage changed to 20 from 25. Removed ability damage, removed health regeneration. Attack speed set to +0.75 percent. - Order's Sigil: Health change to 300 from 700, Health Regen set to +25, Armor set to +3, Attack Speed set to +0.75 percent. Thoughts: So I missed on one crucial analysis to the game mechanics, and that is the damage that bosses can dish out. Forcing units to run from time to time, it's what makes things feel hard; the alternative would be a tank and spank. Big thanks to the data provided to me by my beta testers. The other big change is the heroes' mana pools. To ensure that the boss encounters can last a little longer without players feeling that they're being hard-blocked due to the lack of mana used for damage and healing, I also had to tune those numbers. A bit of thought went into this. I pretty much treated boss damage as the variable that dictates tension(how fast a hero's hp is reduced to 0) and how long the fight can last. Healing needs to feel like a losing game so players need to resort to running tactics eventually. Mana, for dps classes, needs to dictate the number of dp15s cycles the hero can do. - Boss hitpoint balancing now accounts for attack speed. - Gold reduction from pausing too much, up to -200 gold. - Windblessed arrows health bonus set to 200 from 500. 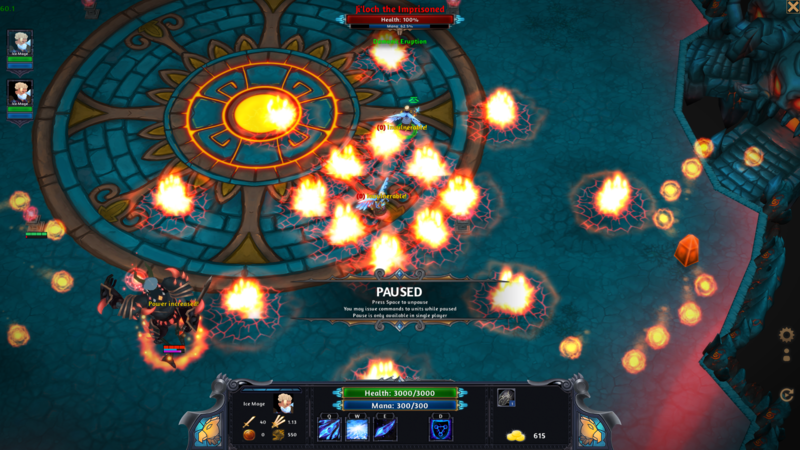 - DBM's Flame Charge ability now pushes enemy units. - The Great Spirit Oak Mother's mass entangling roots ability now has a minor visual rework. - Ji'loch the Imprisoned Demonic Eruption ability now follows a different pattern. - New names for bosses! - Simplified Chinese is now available. - Replays now record text and have a point-of-view system to look from the player's perspective. - Some audio and visual updates. - Fixed text input from IME keyboards. - Many minor text changes. Thoughts: Mainly a audiovisuals update plus simplified chinese translation. Given that Steam's audience is now 60% simplified chinese, it's something that you cannot ignore. Those 7 days spent translating 800+ phrases into simplified chinese seems to be paying off - I got a boost in wishlists once I released the store page in simplified chinese. So right now my current priorities are to focus on producing a good trailer, and do some more marketing. Hard difficulty is also on the list, but there's the guild bank that I haven't done yet that will have to wait for later. I'll leave you with a video on the Twin Frost Elementals encounter. Thanks Clan IBCE for helping with the beta test! Here's the changelog for NEO Impossible Bosses build 0.07. 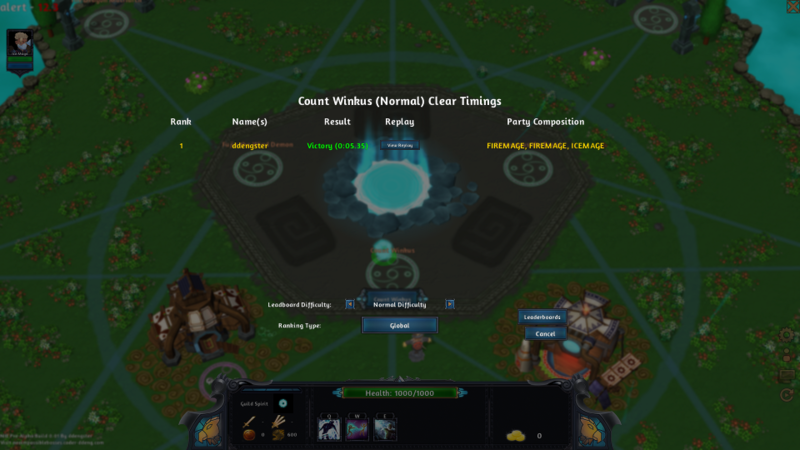 Count Winkus Hard mode - Now has a Magic Clone twist to it. Spirit Oak Mother Hard mode - Now applies a -50% movement debuff at the start of the encounter. - Ironman mode now has their own leaderboards. In addition, they now keep track of the number of clears the players have made. - Can no longer attack allies via attack hotkey. - Fixed/changed some localization text. - Windblessed Arrows attackspeed bonus set to 7.5 from 15 percent. Leaderboards are reset again. We're getting closer to release, but rest assured that some development will still be going on even after that! And lastly, let me leave you with a gif..
Flame Charge now pushes heroes away! Here's the changelog for NEO Impossible Bosses build 0.08. - The Bank Storage is now available in the hub! Store your items by dropping items onto the bank! Also, when you change your party, items on removed heroes go straight to your bank. - Cruelty ability damage set to 80 from 60. - Totemic Mask damage set to 30 from 20. - Order Sigil damage set to 30 from 25. - Updated some ingame text. Ability damage has been buffed across the board since it didn't feel like they were doing enough damage. Also, some of the Damage buffs are done to account for the melee classes. Release is very close now, the rough date being around February 2018. Stay tuned for a new post announcing the release! NEO Impossible Bosses Launch Trailer! Here's the Launch trailer! Also, NEO Impossible Bosses will be release on the 14th of February! NEO Impossible Bosses is RELEASED! So after 3+ years, NEO Impossible Bosses is RELEASED! I'd like to thank all those who helped out with testing and giving feedback. Have fun everyone! Buy/Wishlist NEO Impossible Bosses on Steam now! 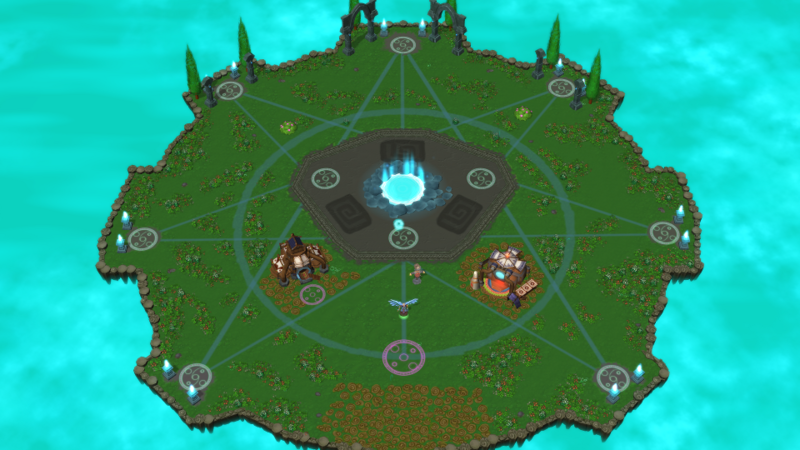 And leave a review if you liked it; it helps with Steam's algorithms a lot! As an alternative, the game is also available on Itch.io!